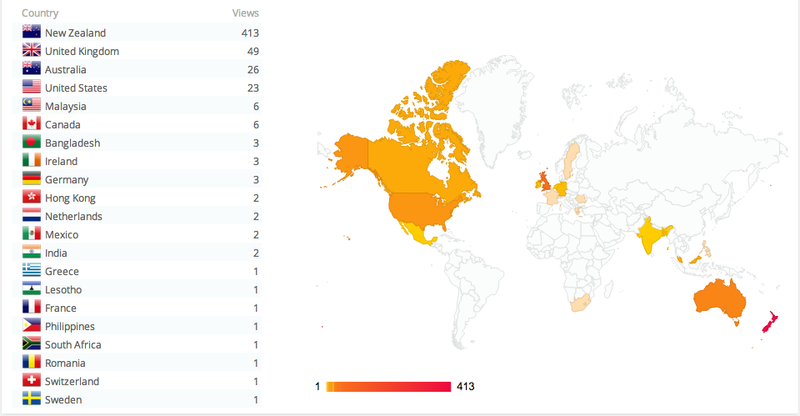 I was reviewing the recent traffic to this blog and was noticing visitors from all over the world had stopped by to see what is happening in the way of eLearning at St Andrew’s College. It reinforced to me just how easily technology facilitates engagement and interaction by our students with an authentic and truly global community audience. COMMUNITY ENGAGEMENT: The curriculum has meaning for students, connects with their wider lives, and engages the support of their families, whānau, and communities. Successful learners make use of the competencies in combination with all the other resources available to them. These include personal goals, other people, community knowledge and values, cultural tools (language, symbols, and texts), and the knowledge and skills found in different learning areas. As they develop the competencies, successful learners are also motivated to use them, recognising when and how to do so and why. Information and communication technology (ICT) has a major impact on the world in which young people live. Similarly, e-learning (that is, learning supported by or facilitated by ICT) has considerable potential to support the teaching approaches outlined in the above section. • enhance opportunities to learn by offering students virtual experiences and tools that save them time, allowing them to take their learning further. As St Andrew’s College continues to move in this direction, most notably with the 1:1 Yr9 2014 Cohort, our teachers will continue to explore new ways in which the guiding principles of the New Zealand Curriculum can be expressed in the teaching and learning within the classroom …. and beyond! In a forthcoming post I will explore the concept of Digital Citizenship and how we see this expressed at the College. This entry was posted in eLearning and tagged Curriculum, Education, eLearning, Information and communication technologies in education, New Zealand, Pedagogy, rationale, St Andrew's College by Sam McNeill. Bookmark the permalink.